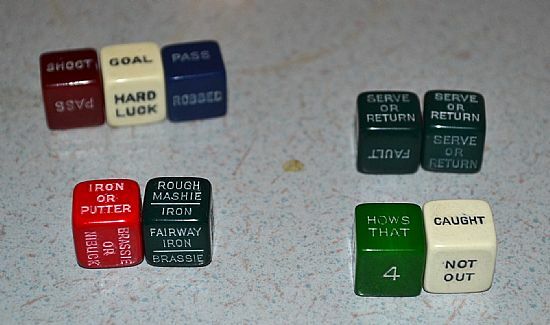 A small games compendium that is included as it contained the Globall football dice game as well as a smaller version of football dice. Also has dice games for tennis, golf and cricket. KumBak also produced Fireside Football. 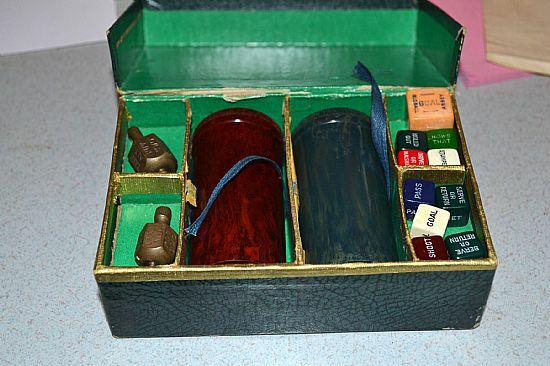 Contains many dice, a couple of put take totems as well as bakelite tubes full of pawn counters. Beautiful tiny dice for games of football, tennis, golf and cricket. 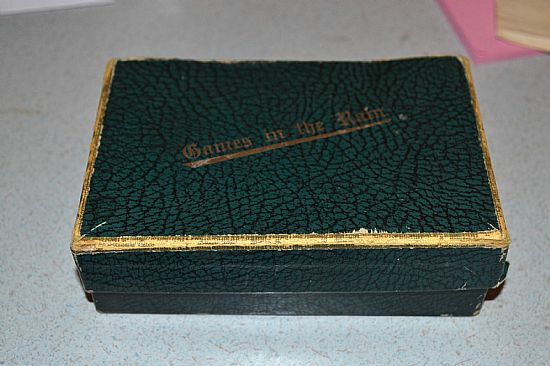 Nicely presented games compendium, the size of two packs of playing cards.